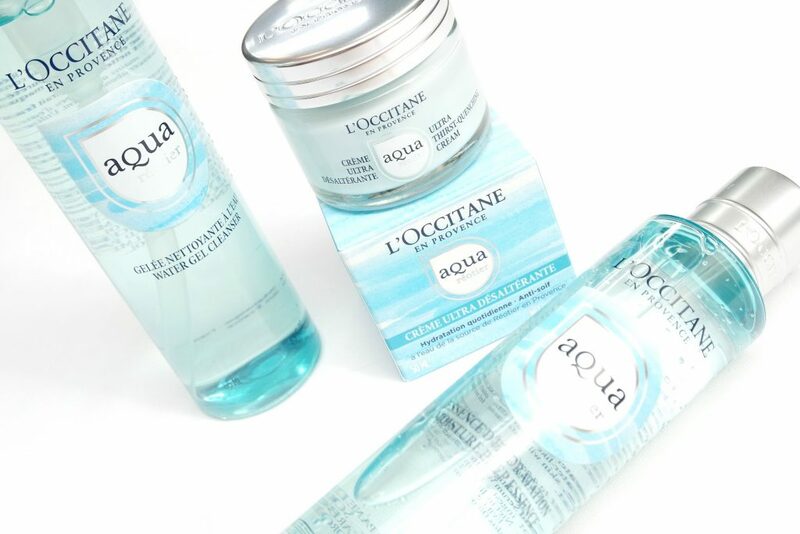 L’Occitane introduces the Aqua Réotier Collection, formulated with springwater from the Réotier Springs in France, which is full of minerals with a high concentration of Calcium. 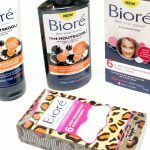 The products are also formulated with Hyaluronic Acid and Glycerin to provide intense hydration to the skin that is according to the brand, supposed to last the entire day. 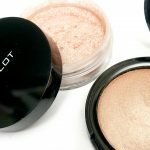 The products from the collection are recommended for skin that lacks hydration and to help combat enlarged pores, uneven skin texture and dull skin tone. I’m going to review a selection of the L’Occitane Aqua Réotier Collection in today’s post. 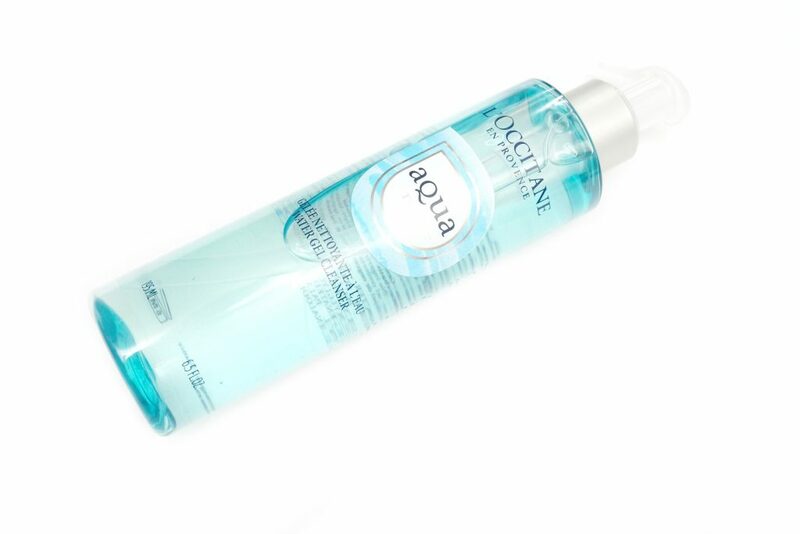 The L’Occitane Aqua Réotier Water Gel Cleanser (€19,00 Euro/195 mL) is a gentle facial cleanser that is supposed to lift away impurities, leaving the skin feeling clean, soft and comfortable. AQUA/WATER – GLYCERIN – SODIUM LAURETH SULFATE – COCO-GLUCOSIDE – COCO-BETAINE – SUCROSE COCOATE – POLYGLYCERYL-4 CAPRATE – PEG-120 METHYL GLUCOSE TRIOLEATE – PHENOXYETHANOL – GLYCERYL OLEATE – SODIUM CHLORIDE – CITRIC ACID – ETHYLHEXYLGLYCERIN – SODIUM BENZOATE – PROPANEDIOL – HYDROGENATED PALM GLYCERIDES CITRATE – LECITHIN – ASCORBYL PALMITATE – TOCOPHEROL – PARFUM/FRAGRANCE – LINALOOL. The L’Occitane Aqua Réotier Water Gel Cleanser is recommended to be used every morning and night by gently massaging the product on wet skin and rise off with water. The product has a gel-like texture and has a pleasant, fresh ocean type of scent. I like the cleanser, it leaves my skin feeling fresh and clean. It doesn’t feel like my skin has been completely stripped but I definitely still do need to apply moisturizer after using the cleanser. The L’Occitane Aqua Réotier Moisture Prep Essence (€22,00 Euro/150 mL) is pre-moisturizer to initially hydrate the skin and to boost the hydrating properties of skincare products that are applied after, leaving the skin feeling clean, soft and comfortable. AQUA/WATER – PROPANEDIOL – GLYCERIN – POLYSORBATE 20 – SODIUM HYALURONATE – CAPRYLYL GLYCOL – CARBOMER – ETHYLHEXYLGLYCERIN – SODIUM HYDROXIDE – SODIUM BENZOATE – CITRIC ACID – TOCOPHEROL – PARFUM/FRAGRANCE – LINALOOL – HEXYL CINNAMAL – CITRONELLOL – CITRAL GERANIOL. The L’Occitane Aqua Réotier Moisture Prep Essence is recommended to be used every morning and night by applying the product on cleansed skin by light tapping motions. 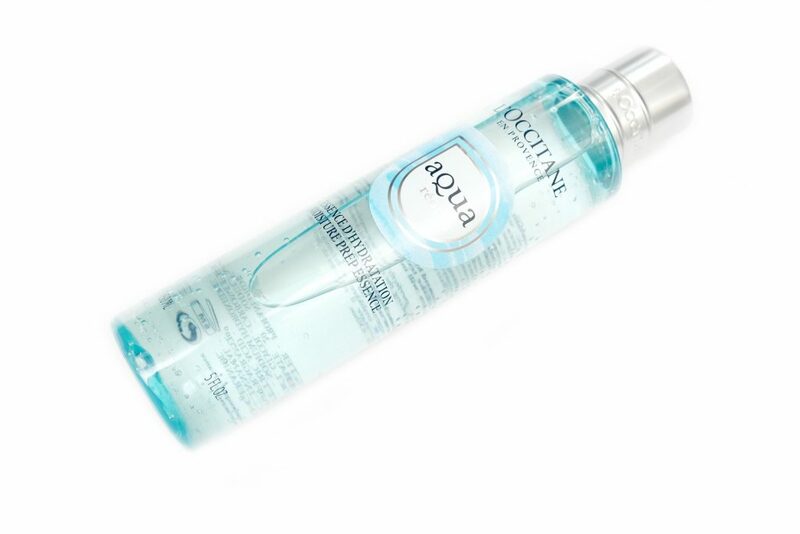 The product has a thin, gel-like texture and like the cleanser, has a pleasant, fresh ocean type of scent. Applying this product leaves my skin feeling tacky for a few minutes before my skin is completely dry to the touch. Because of the initial tackiness and moisturizing properties, I think this product would also be great as a primer before applying make-up. It leaves my skin feeling fresh and hydrated but since the product is made as a pre-moisturizer, I’ve never tried using it on its own. 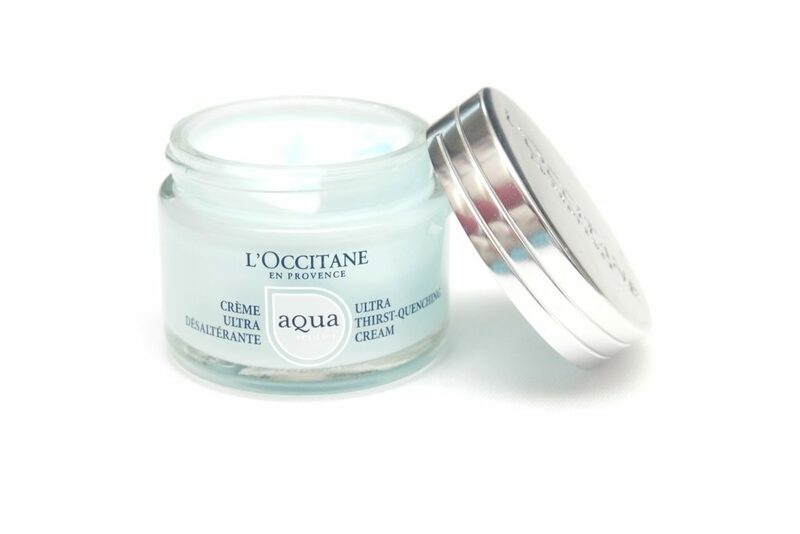 The L’Occitane Aqua Réotier Ultra Thirst-Quenching Cream (€28,00 Euro/50 mL) is a facial cream that combines the the texture of a hydrating gel with the softening and smoothing properties of a cream. This cream is supposed to hold-in moisture and drench the skin all day long, leaving the skin replenished and radiant while looking visibly plumped. The L’Occitane Aqua Réotier Moisture Prep Essence is recommended to be used every morning and night by applying the product by light tapping motions. The cream feels lightweight and has the same, fresh ocean-y scent. I absolutely love how the cream feels on my skin. I feel like my skin gets an instant boost of hydration, feels very soothing and leaves my skin feeling slightly tacky, soft and smooth. Again, this creates a good base before applying make-up. 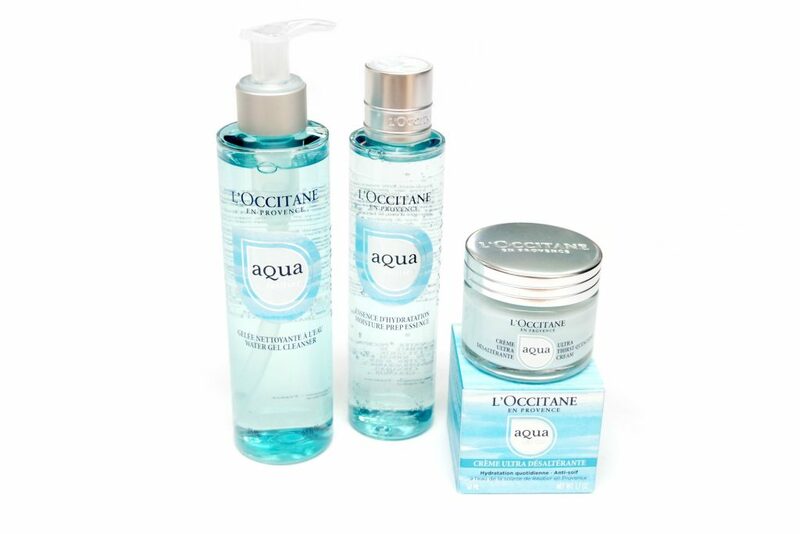 The L’Occitane Aqua Réotier Collection is amazing for my dry skin type. 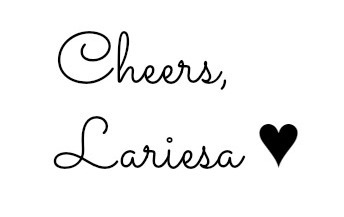 It makes my skin feel so hydrated, soft, smooth and comfortable. There are also two other products in the collection, which are the Aqua Réotier Gel (€28,00 Euro/50 mL) and the Aqua Réotier Fresh Moisturizing Mist (€28,00 Euro/50 mL). I’m definitely going to check out the mist myself for traveling and to refresh my skin whenever needed. 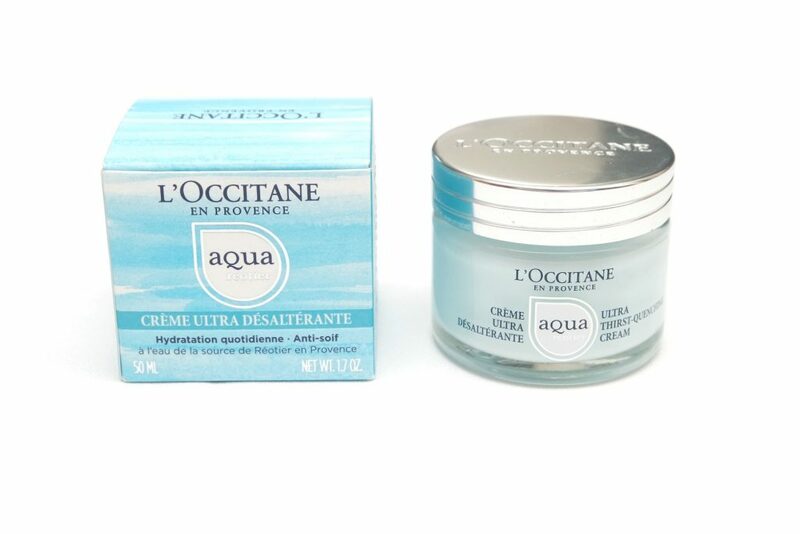 The L’Occitane Aqua Réotier Collection is available at loccitane.nl and at the L’Occitane Boutiques. 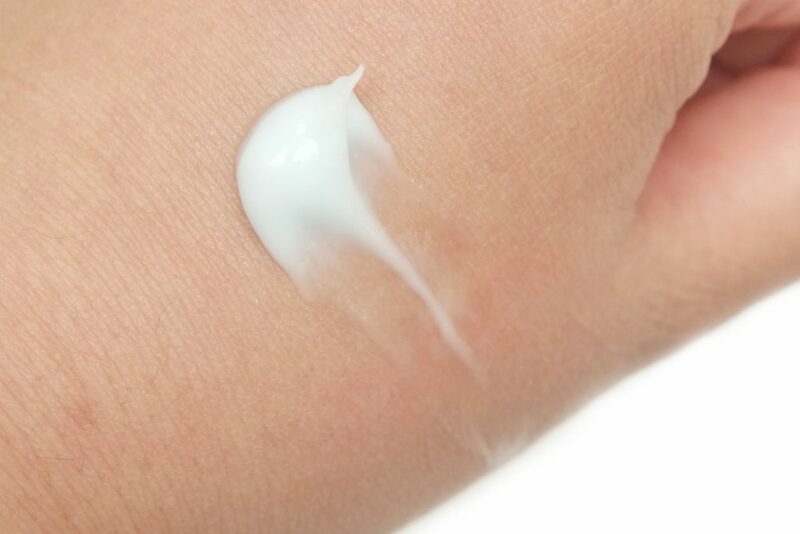 Does your skin lack moisture? 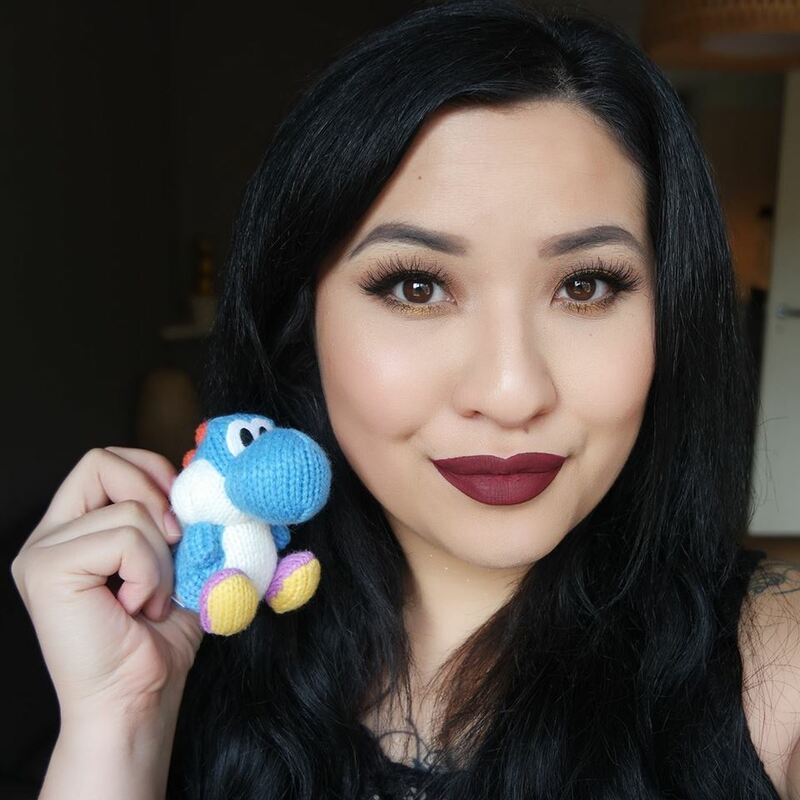 What products do you like to use? Jaa wat zijn ze fijn he! Ik gebruik de essence nog vaak tussendoor mijn andere essence producten. Het is een fijn product omdat het direct hydrateerd en het plakt niet/maakt geen rare bolletjes aan als je het op smeert.